Leadership, in museums and non-profits, isn’t a destination, it’s a journey. And for me, as an observer, a writer, and a commentator these last few years have been a zip-line of learning, yanking me out of my white, straight world, and forcing me to do more than tell myself I’m a good person and not racist. There were some rough moments, particularly when, while writing Women in the Museum, I struggled to understand intersectionality. And that’s not to say I’m perfect, but I’m aware. This struck a chord for me, not on the funding side, although I’ve no doubt it’s true, but on the human behavior side. What is it about human nature that prevents us from separating ourselves from what’s actually going on? This is not dissimilar to what happens when an individual shares that a family member is gravely ill only to end up comforting one or more people in the group about their own troubles. Personally, one of my biggest struggles in my intersectionality learning curve was recognizing that even though remarks about things I’d written felt personal, they weren’t, and I needed to see it that way. The individuals who were gracious enough to talk to me about intersectionality didn’t know me from Eve. They don’t know how or where I was raised, where I went to church, whose 9th grade class campaign I worked on or who I dated. They only know the words I used. And in the moment, I’m the only person responsible for those words. If they are wrong, then I’m wrong, and I need to stop and listen. My response shouldn’t be resistance and prevarication, but a request for help: Help me understand. As we’ve said about a gazillion times on these pages, words matter. Racist, sexist, misogynist speech is rarely one-off, White Supremacist-vitriol that’s immediately actionable. More often it’s experienced as the belittlement of a thousand remarks. As leaders, whether executive directors, curators, team leaders or board members, we are responsible for those words. There is no age, place of power or privilege where we get a free pass to be offensive, even unintentionally. So…. Be purposeful in your communication. Make a habit of scrolling sentences in your head or on paper before speaking. Be conscious of how, even when you don’t mean to, words privilege one group over another. Recognize that silence also communicates. If you hear something that’s offensive, stand up for your staff and your colleagues. Not speaking up normalizes a destructive narrative. Your life isn’t the Hallmark channel and nobody will change in 45 minutes. Challenging a narrative is a reminder that needs to happen repeatedly before behavior changes. Learn to listen. Ask for help. Grow your understanding of the people you work for and with. And if you’re a person of color, queer, transgender, listen back. Understand that for a tiny second someone who frequently has all the power and privilege needs your help, and is asking for some support and context, however awkwardly. Be kind if you can. This is Black History Month. Next month is Women’s History Month. Maybe in addition to the proverbial Instagram posts about the achievements of women of color, for example, you could make an institutional commitment to eliminating bias from hiring, HR policies, exhibit text, and your Web presence. There are a lot of words out there. Perfection is difficult, but a statement about how your institution feels about bias says volumes. Words definitely matter! A simple but important thing that museum leaders can do is to choose words that accurately describe and acknowledge the value of the jobs of each of their staff members, and have those words handy when introducing them to others (especially donors). That might sound daunting with a staff of 500 people, but there’s help available in that situation too (see below). A visitor services front-of-house staff member whose boss tells people that they “sell tickets” or “work the front desk” isn’t just oversimplifying, they’re saying something about how they perceive the value of that role in their organization. It takes a few more seconds, but if they say instead that “Kevin is the public face of our museum and ensures that our visitors begin their museum day with a friendly and informative exchange. He’s especially perceptive of the variety of needs our visitors can have, and is always willing to help ensure that each them can have meaningful experiences here.” That’s not a check list of every task the job entails. (really, it isn’t very specific at all). It says generally what that employee does, but mainly it speaks about why it matters. When working in a huge museum, I noticed that our director frequently would introduce staff members and then invite them to share what they do with our guests themselves. 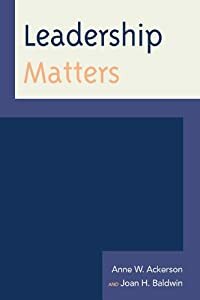 This probably was in part because it simply wan’t practical to know what every last employee does in such a large organization, but I think it also was his way of enabling staff members to speak for themselves about what they do and why it matters. It’s a good idea for every staff member to have their own 20 second intro on hand in case they are given this kind of opportunity. The new edition of TrendsWatch explores truth and trust, decolonization, blockchain, homelessness and housing insecurity, and self-care. 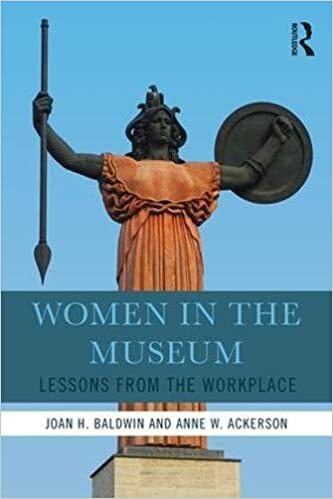 Our new book about gender equity in the museum workplace is available! Order your copy now through Amazon. A look at history museum leadership for the successful 21st century institution. Available at AltaMira Press and Amazon. How Do You Track Accomplishments and Make Meaning from Them? 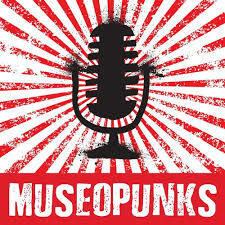 A project to challenge and re-imagine institutional policies and systems that perpetuate oppressions in museums.